Maritzburg coach Fadlu Davids wants his side to approach Sunday’s Nedbank Cup last 16 match against NFD club and fellow Pietermaritzburg-based outfit Royal Eagles as they would against top-flight opposition. Eagles have not had the best of campaigns in the National First Division and are in 11th position. But as coach Fadlu points out, they have appeared rejuvenated of late, and have a quality squad assembled. 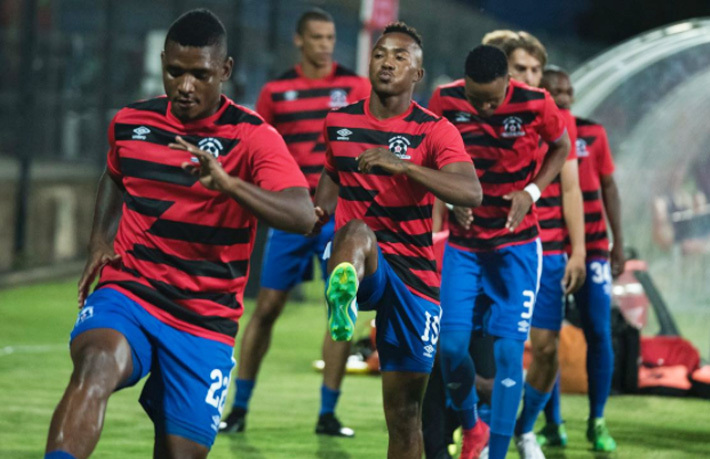 Add to the pot the derby factor, and the natural inclination of a lower league side out to prove themselves against Premiership opposition, and it will be anything but an easy afternoon at the Princess Magogo Stadium. “It’s difficult, teams coming from the NFD, they up their game, they go all out, play above themselves,” he said. “So we have to approach it like a PSL game. At the start of the season Eagles assembled a squad strong enough to win promotion, and they have a strong enough squad to win promotion, that’s for sure. They are in form, winning two matches in a row. “Roger Sikhakhane has come in as coach and we are definitely in for a tough game. He’s transformed them. We see them every week here at Harry Gwala, they’re a transformed team under the new coach. The Team of Choice mentor admits disappointment, on behalf of local supporters of both clubs, that the game, a home one for Eagles, has been moved from the Harry Gwala Stadium - a ground the two teams have been sharing. “It’s like Inter Milan and AC Milan taking their game to, I don’t know, Rome. It doesn’t make sense for the fans. Yes they want the advantage, that’s okay, but like I said before, I would rather lose 4-3 at Harry Gwala and give the fans an entertaining match, than win 5-0 in Durban.